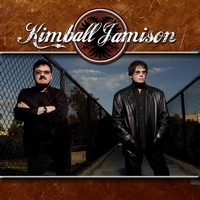 No need to introduce Bobby Kimball and Jimi Jamison to AOR and melodic rock fans, the former Toto singer teamed up with the ex-Survivor for this album. Due to their involvement in Legends Of Rock and the Voices Of Classic Rock they became friends, so this is a one-off experience by the two outstanding singers. The songwriting was in the hands of Richard Page (Mr Mister), Jim Peterik (Survivor), Randy Goodrum (Steve Perry, Toto), John Waite, Erik Martensson (W.E.T.) and Robert Sall (Work of Art), among others and the production was handled by Mat Sinner who also played bass and was joined by Sinner / Silent Force guitarist Alex Beyrodt, keyboarder (and co-producer) Jimmy Kresic and drummer Martin Schmidt. The kick off with the powerful rocker Worth Fighting For, a song which should please every fan of melodic rock! But see yourself! Next in line is Can't Wait For Your Love, another powerful tune, but with a balladesque edge - and a dash of Foreigner... They did a video for this one as well, so check out the track! For Sail Away they ease off a bit, but you won't miss some heavy riffs, even if this is a radio friendly tune. A cool rocker is Chasing Euphoria! A catchy rocker with great guitar play. For Get Back In The Game they add some heaviness! The refrain is obviously influenced by the 80's... Hearts Beat Again sounds like a heavy version of Toto... One of my favorites is Kicking And Screaming, but as there are no filler, it's more a matter of taste. The closer is called Your Photograph, a ballad which once more shows the class of the singers. Fans of AOR / melodic rock in general and these two vocalists shouldn't hesitate to get their copy right away! Kudos!